This is a sub-unit I did not know I needed, but thank the heavens that it happened! From what I can gather from watching this video multiple times, is that Leo’s ex-lover gives him a wedding invitation at the beginning. We see that he lets her go, but obviously he still has feelings for her and I get the impression that he is acting ‘fine’ with it, but is lying. He, therefore, is trying to restrict the side of him that wants to burst out – aka Ravi. From the video, it seems that Leo is the ‘mask’ and Ravi is the feelings he is trying to swallow, especially in the scenes where Leo is having to hold him back. The song is basically about letting someone go, because you want them to be happy and to not spoil the memories you have with them. It’s about disregarding your own feelings for someone else and forcing yourself to smile for them, even is it hurts a lot. So, here I’m just going to ramble on about how beautiful Jung Taekwoon is and how lovely his piano hands are and his cute little face…. I am so tempted haha ^^”. Even though I am biased towards Leo, I shall refrain from doing such a thing. Not to mention, Ravi looked pretty good in this mv as well! But seriously though, they look stunning, even Ravi, with his hand in front of his face. 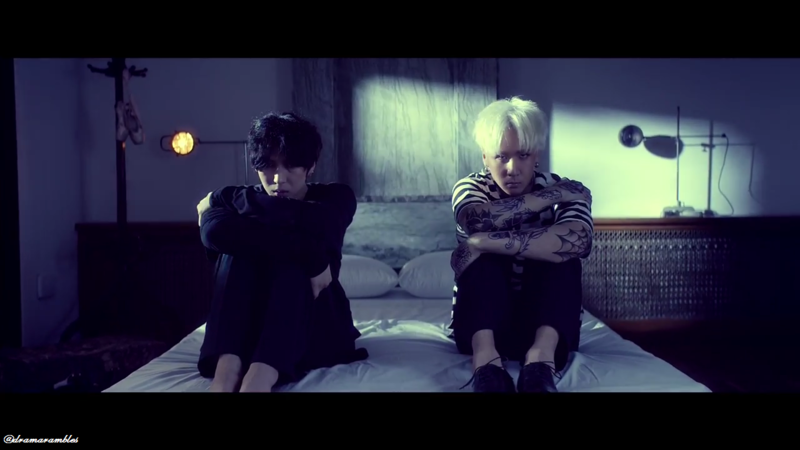 The lighting for this mv is on the darker side, with only a few instances of brighter light. I suppose this is to match the more sorrowful tone of the song. I think it works very well and mixed with the song is a visually pleasing and draws out the empathy/sympathy within us. 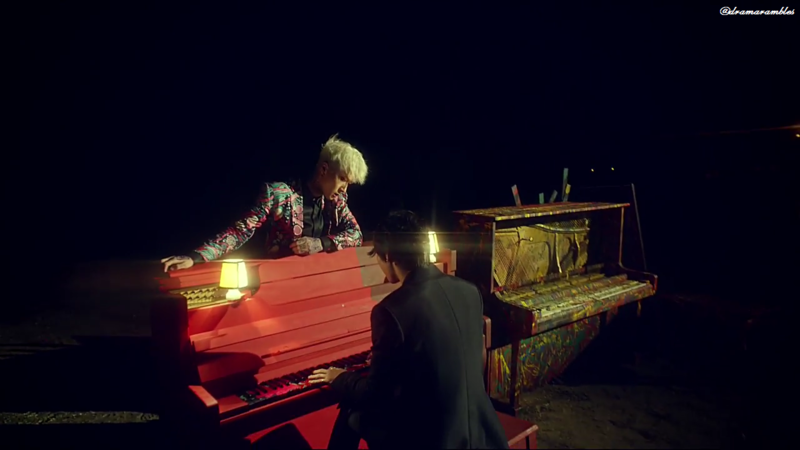 The set where Leo is playing the piano is my favourite, I thought this was such a beautiful little expanse of space. Your eyes went straight to the piano’s and I felt a little saddened by the scene. Maybe for some strange reason, a piano on a beach at night makes me feel that way… but it works well as this looks to be where, for brief moments, Leo’s “character” can breathe. Apart from when Ravi starts climbing all over his piano and him – which I saw as his feelings trying to entice him into letting them out. This video, though a little more subdued, has the same great artistic flair which VIXX videos have, which is wonderful! 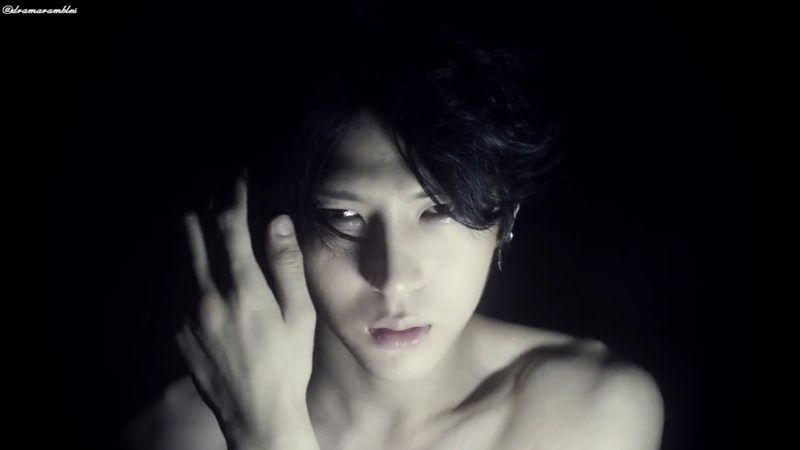 Leo’s angelic voice mixed so well with the gruff/harsher rapping voice of Ravi. Of course, I already knew that their voices worked well together because of VIXX songs. However, just having only the two was also perfection. Leo’s voice is beautiful and he certainly shines when doing ballads. And Ravi has grown to become a very good rapper. When the two harmonised I needed to sit down when I first listened to it, I was just overcome with how well it sounded. ‘07.09.15 – 13.09.15’ Things Will Go To Plan! !